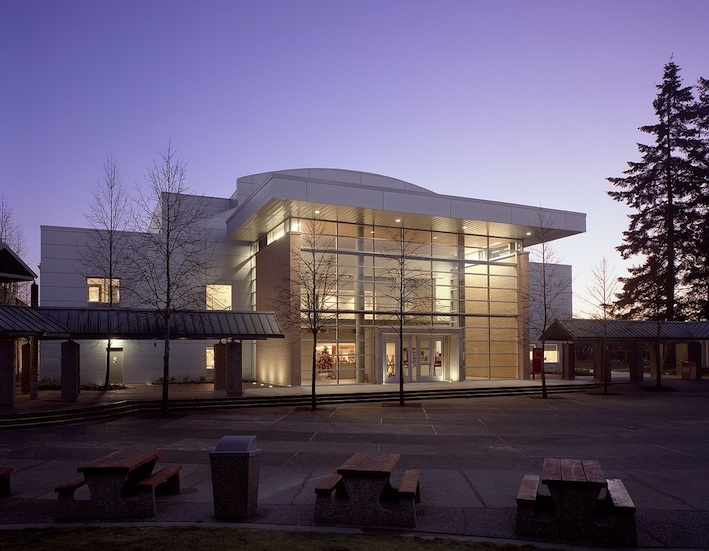 The renovation and expansion for Kwantlen Polytechnic University – Coast Capital Library accommodates the expanding demand and growth of the educational program and envisions a re-establishment of the Library as the primary building on campus and is envisioned as the “campus heart”. The overall Library’s vision statement was to create “a dynamic centre dedicated to successful learning”. The renovation incorporates a complete envelope remediation and the replacement of the existing entry with a revitalized two storey glazed lobby space incorporating a gallery and sitting area on the ground floor and a study “balcony” on the second floor. The central three storey atrium features north glazing providing natural daylight and visual transparency between the library and the campus courtyard beyond. 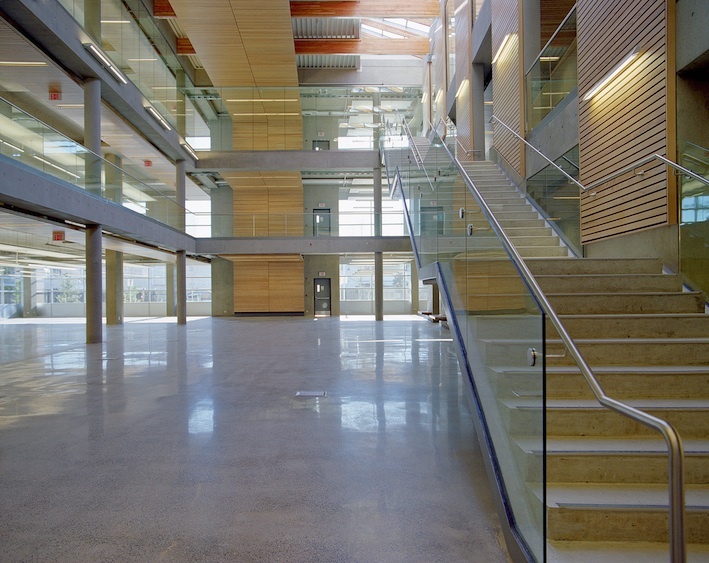 The atrium ground floor accommodates a 60 seat learning commons and provides a transition space between the renovated north wing library and the new three storey west wing. The flexible east wing accommodates learning labs in addition to group and individual study spaces. 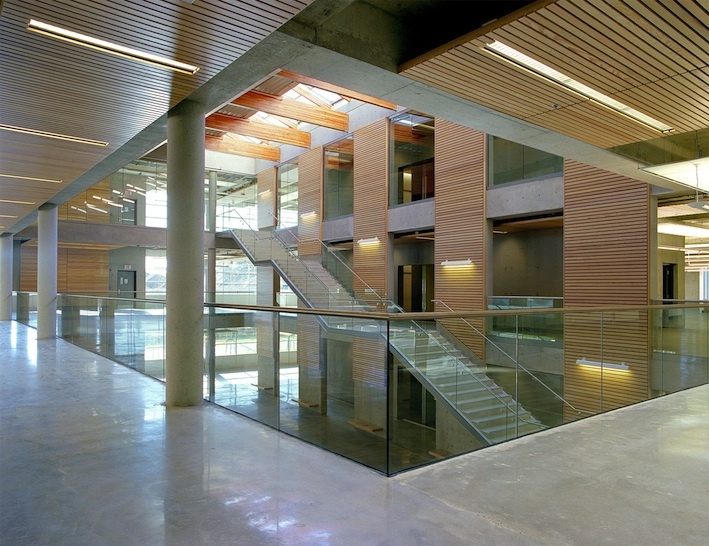 The natural light and interior green wall contribute to a welcoming learning environment. Green features of the building include passive ventilation, radiant floor heating supplied by a geothermal field, heat recovery and a living wall.